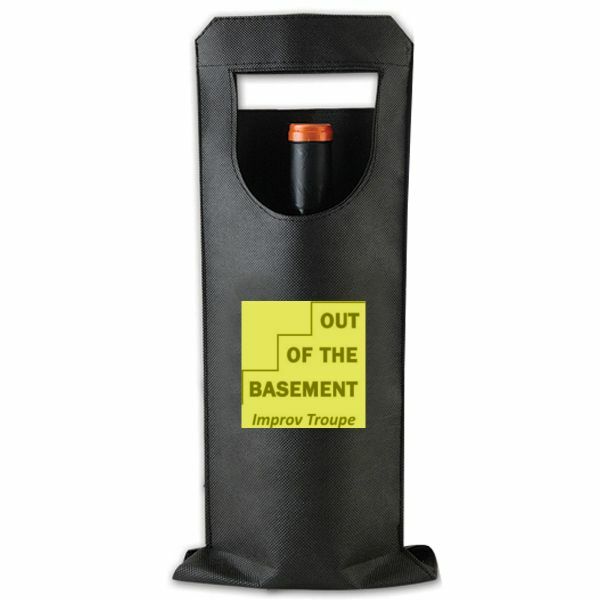 Looking for a wine related item to use at your next tradeshow booth or event? The handy wine/food pairing tool has information on what wine pairs best with different foods. With suggestions for 48 different foods, it also has serving temperatures and tips for choosing wines and more. Wheel is 6.75″ diameter. Your logo or information can be imprinted in the area on the front of the wheel in one color. Imprint area is 3″ w x 1.5″ h. Min. is 250 at 1.30 ea, 500 at 1.15 ea, 1000 at 1.05 ea, 2500 at 99 cents ea, 5000 at 95 cents ea. Ask about pricing for higher quantities. Set up is 35.00. 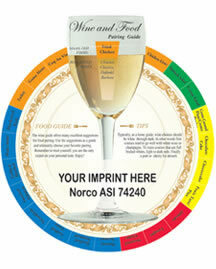 Shows what wine goes with the 48 listed foods, handy guide lets you put your logo on front. 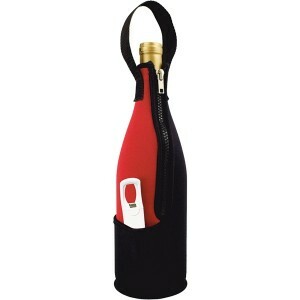 Zip-N-Go neoprene wine bag with plastic traveler’s corkscrew. 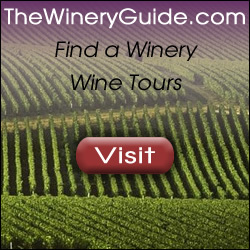 Good for wine events of all types, wine gift baskets and something wine enthusiasts will love to get (and give). 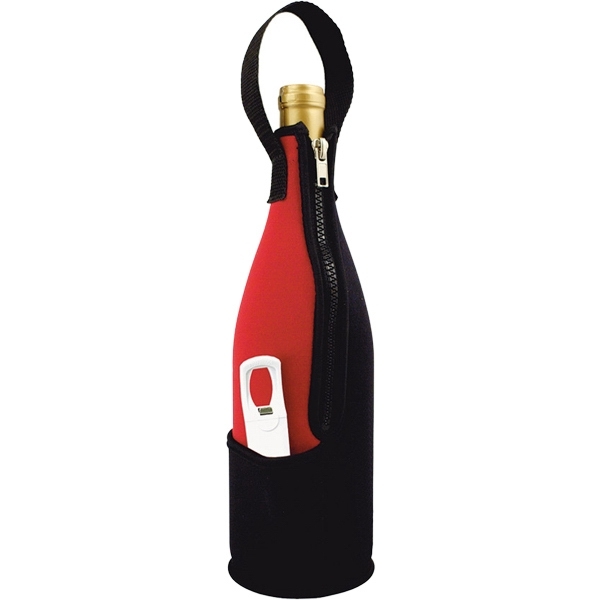 This handy sleeve snugly holds 750 ml bottle of wine. Zipper closure. Carrying handle. Gusset bottom. Side accessory pocket. 10 1/2″ x 4 1/2″ dia. Available in black or red andblack. Imprint area 3-1/2″ x 1-1/2″. Set up is 50.00 for one color imprint. 100 5.41 ea, 250 5.47 ea, 500 @ 4.93 ea, 1000 @ 4.86 ea, 2500 @ 4.43 ea.